It is December. The nights have grown exceedingly long, and the frosty chill in the air makes any outdoor exploit necessarily brief. With hours of darkness to pass, we need to look at interesting ways to fill them. Naturally, snuggling seems like the most fun way to pass the time, but sometimes you need alternate plans. There are plenty of ways to fill all those hours though, and one of the most fun options is to have a family or friends game night. Dust off all those exciting old board games and indulge in a little friendly competition. 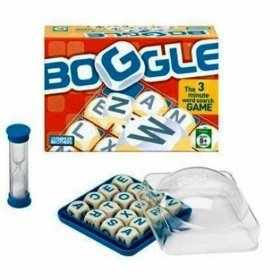 Everyone is familiar with the old classics like Monopoly, Clue, Scrabble and my personal favorite, Boggle. There are so many more games available these days, though. 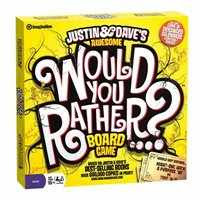 Maybe try this fun decision making game, "Would You Rather...?". Discuss and debate a series of interesting dilemmas and predicaments. Trivial Pursuit made trivia games popular over 25 years ago, and it has some great new company on the trivia scene. 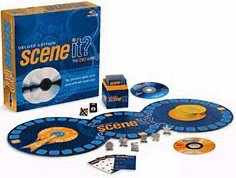 A more high-tech version can be found with the DVD-based games by Scene-It. Now, toss some cushions on the floor. Make some snacks, pour some drinks and have fun!